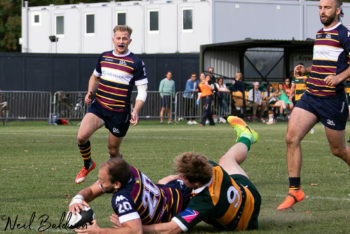 This entertaining match was a mite frustrating for both sides since neither could achieve any measure of dominance over the other for any length of time. The difference between the teams, and the reason Albanians went home with maximum points had to do with the 9/10/12 axis. 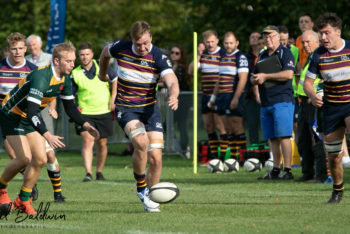 Given parity of possession OAs were always slightly more precise than their opposite numbers and Al Gliksten, Tom Bednall and Dan Watt ensured distribution was slicker in their hands than their opponents. 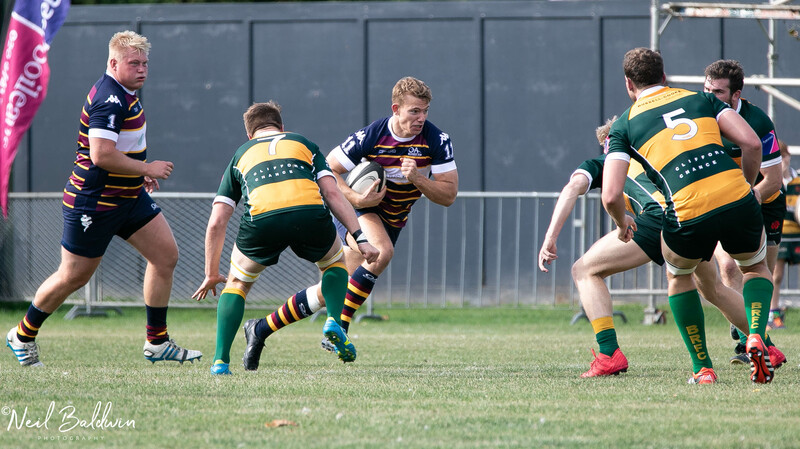 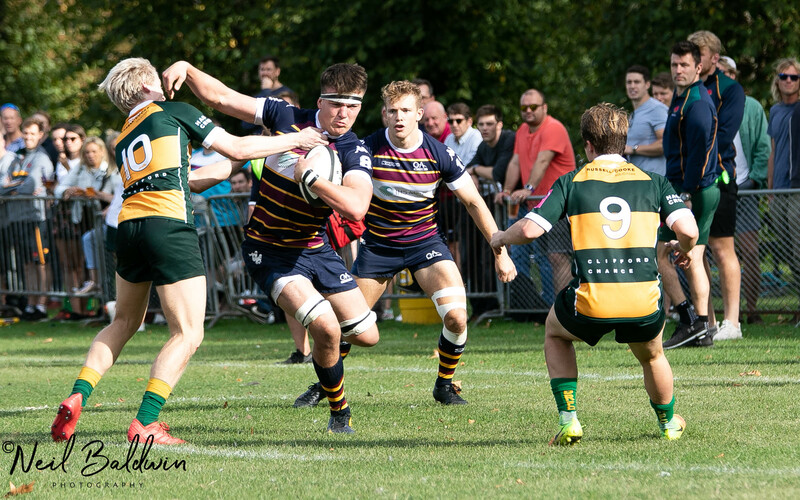 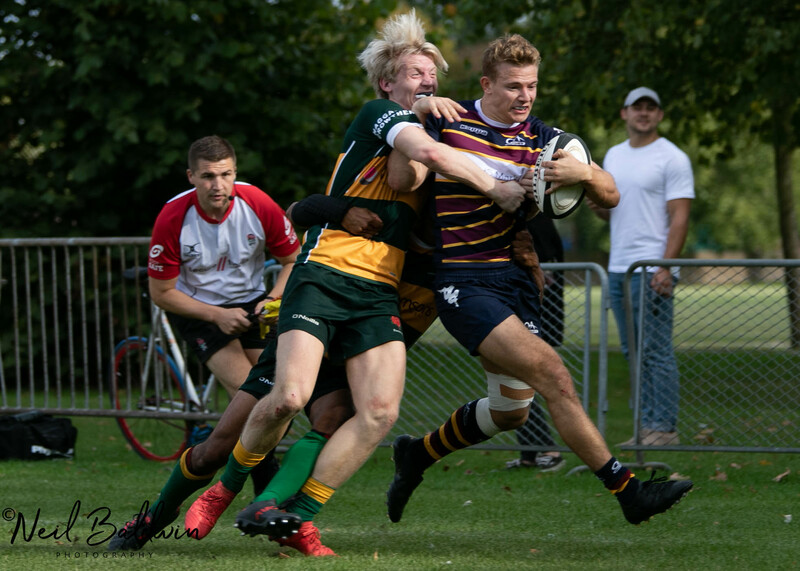 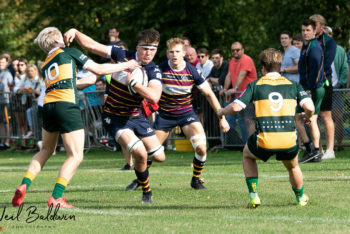 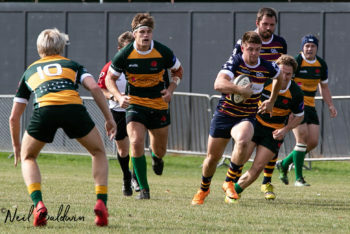 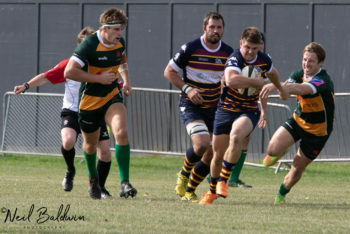 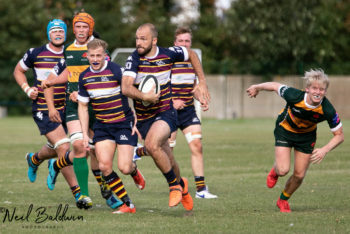 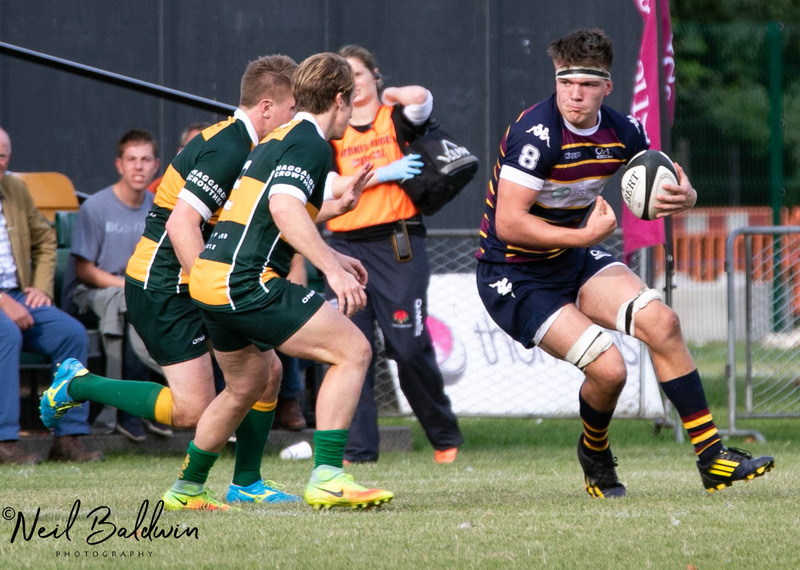 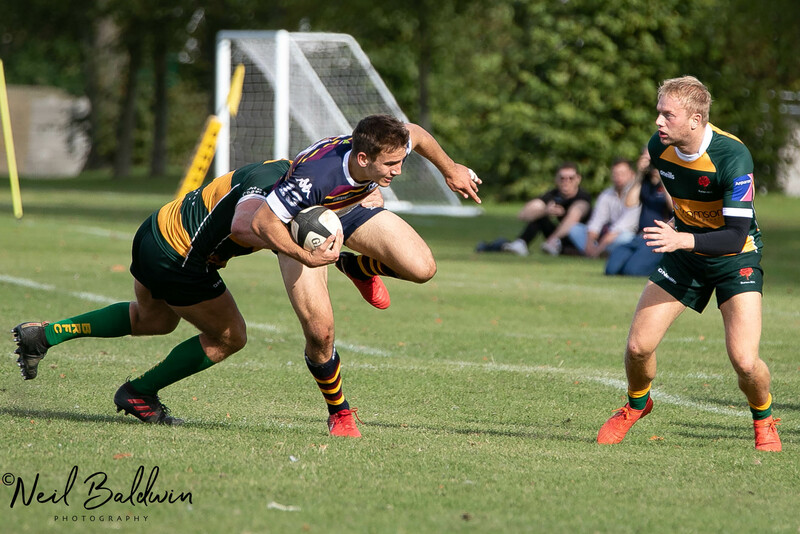 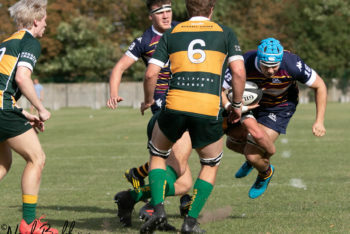 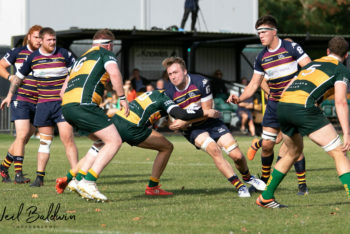 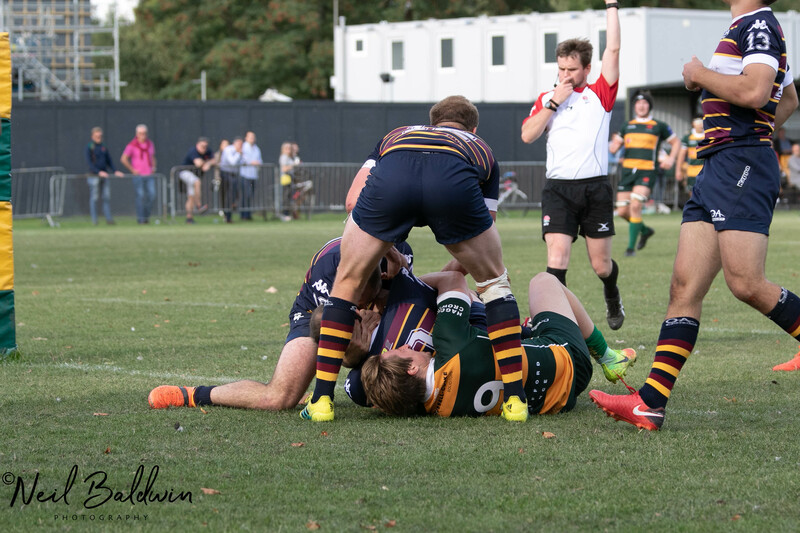 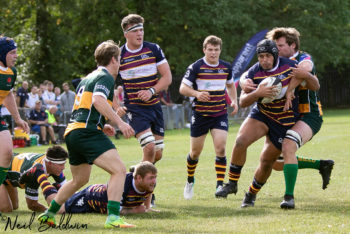 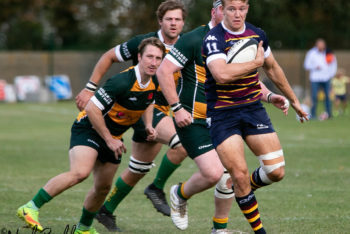 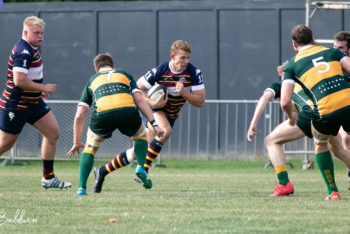 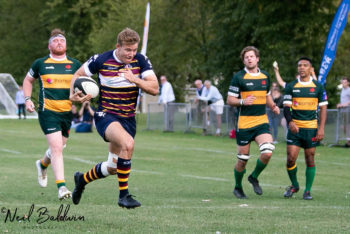 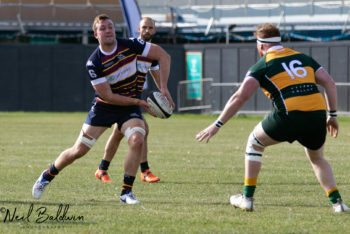 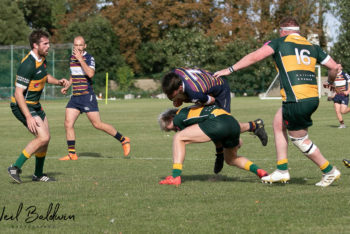 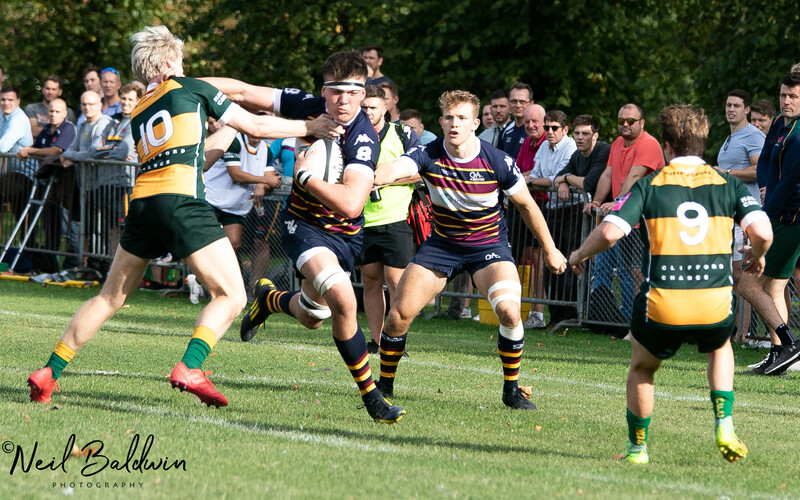 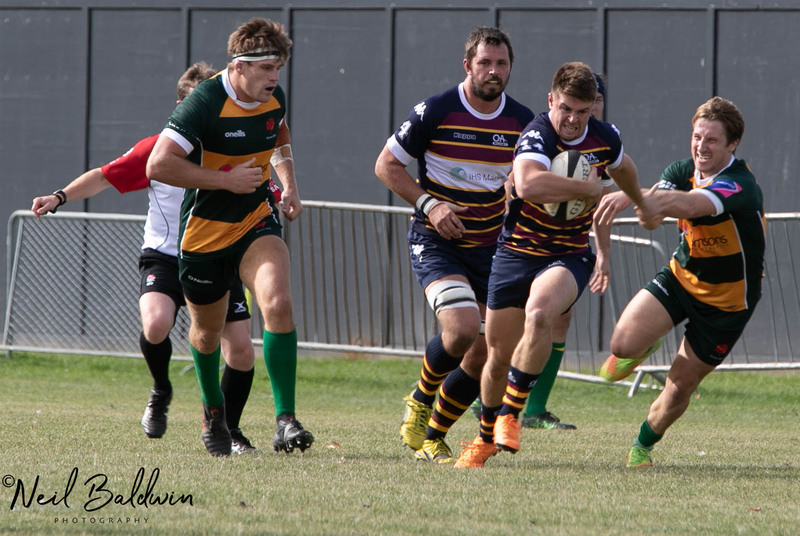 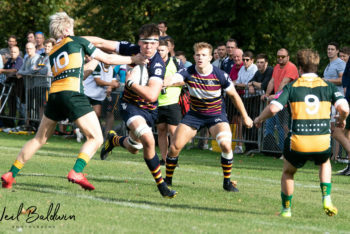 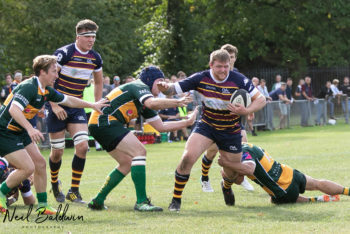 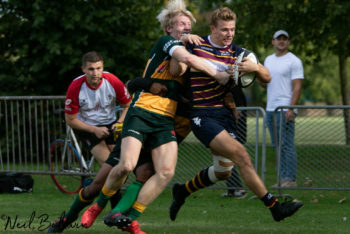 To emphasise this the two best tries of the afternoon (both for the visitors) resulted from rapid passing and, once the ball had done the work, the two scorers, Peter Warne and Morgan Thompson sped to the line without fuss. 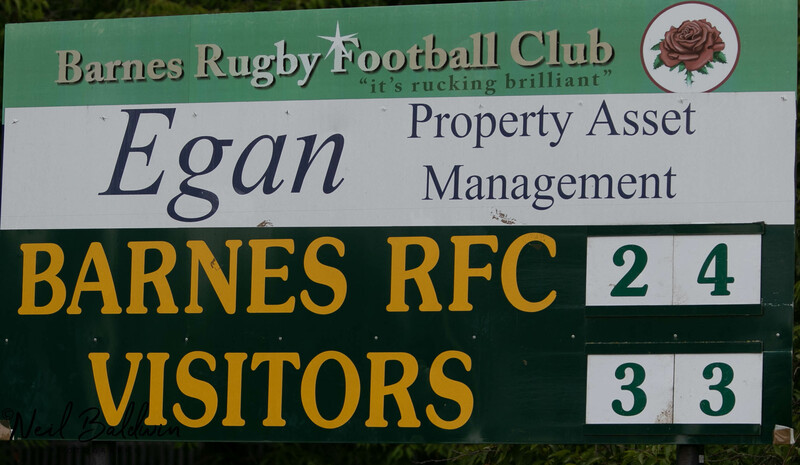 Discipline, as always, played a part and the first quarter saw six penalties awarded against Barnes and just one to Albanians. 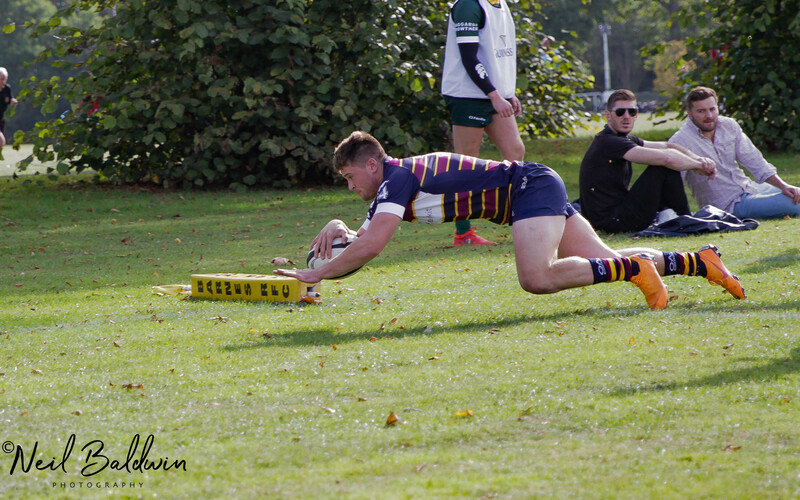 Bednall opened the scoring with 14 minutes gone after a Barnes indiscretion. 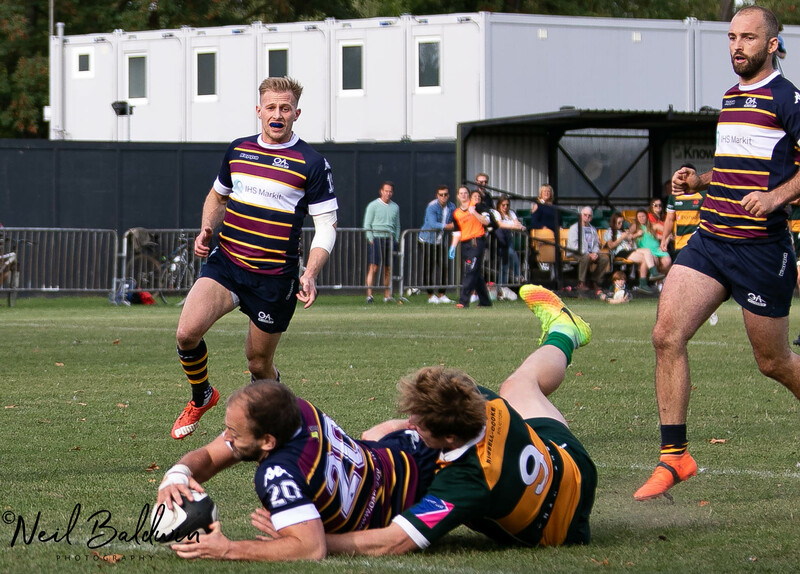 However the hosts took the lead at the end of this first period when Joel van der Poel finished off a fine catch and drive from a lineout and Charles Wicks converted. 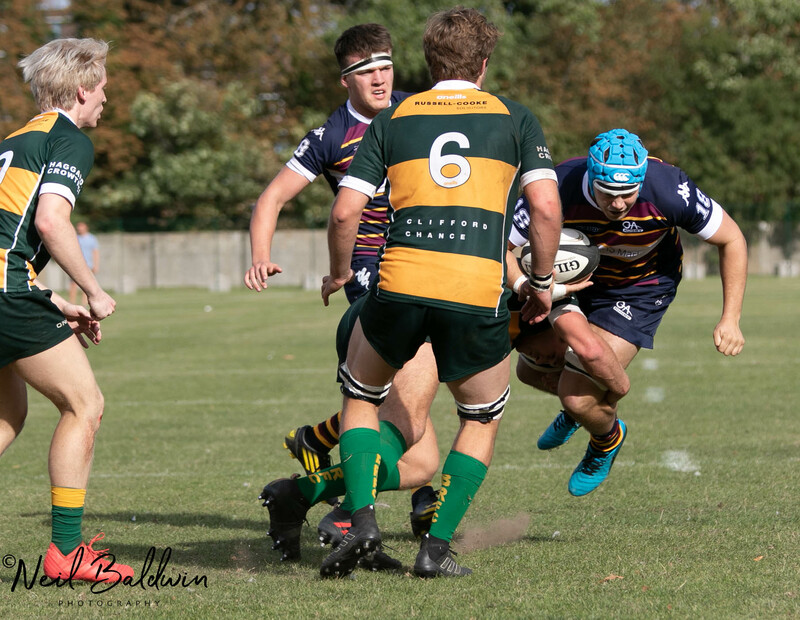 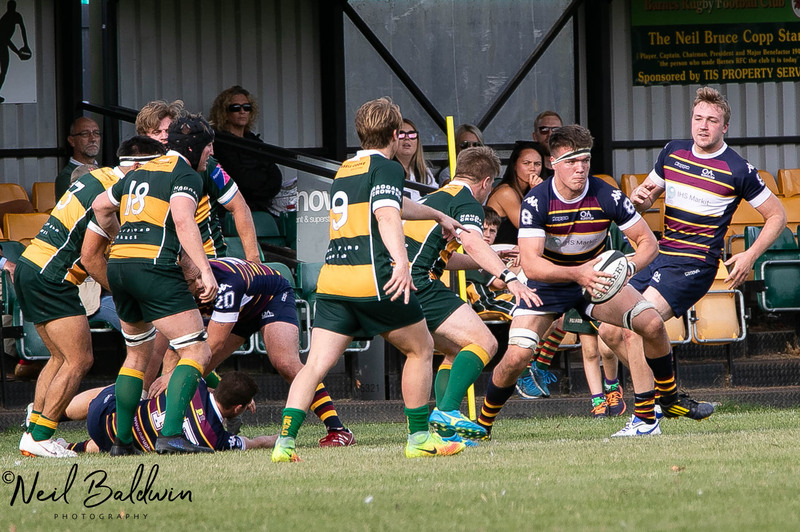 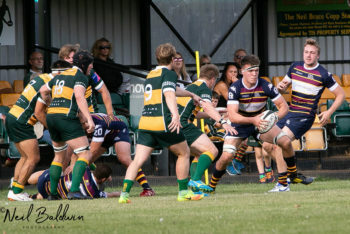 The next ten minutes saw OAs take some temporary control when first open side George Bartlett was given an overlap on the left for Bednall to convert expertly. 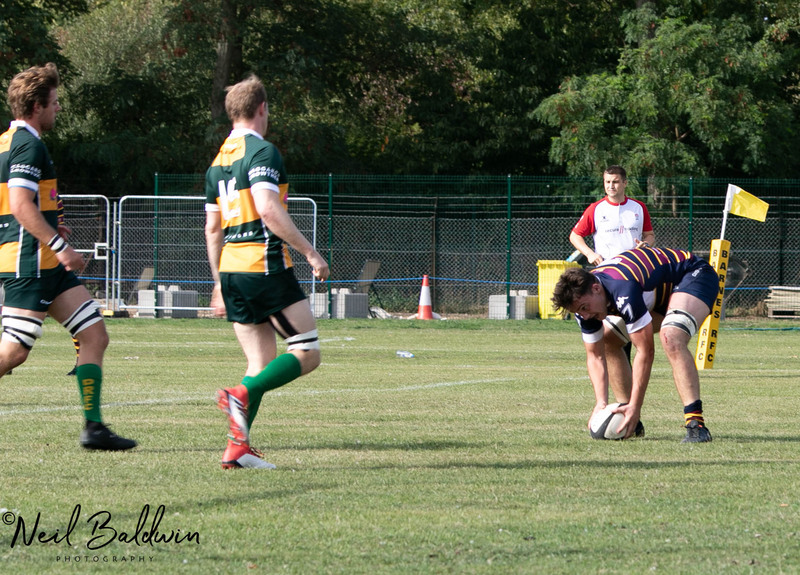 Then Alex Chalcraft announced his presence with an unconverted score. 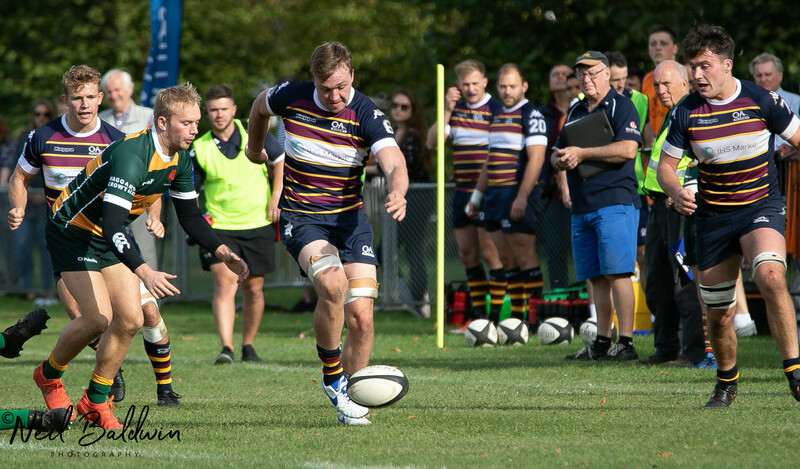 Barnes took the honours for the few remaining minutes in the half when loose head George Hunter and his substitute comrade William Symonds both crossed in Barnes best period of the day. Wicks converted Hunter’s effort and his side were four points to the good at the break. 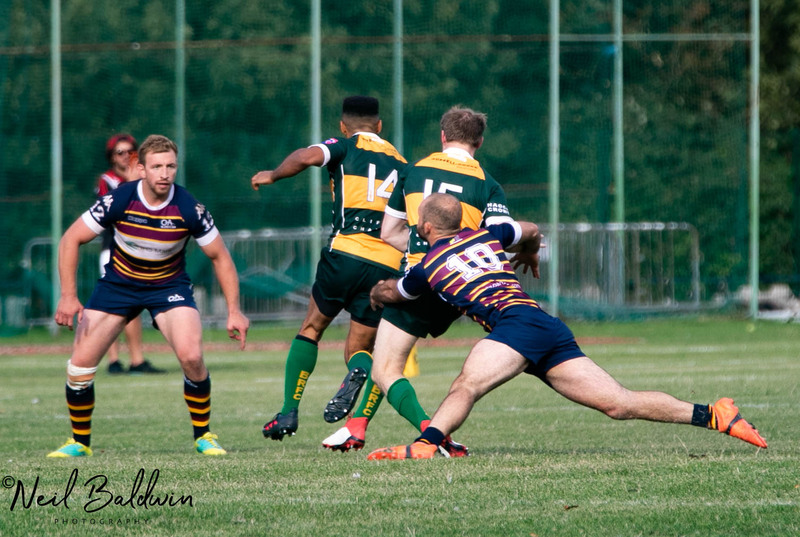 Warne’s excellent try followed seven minutes after the restart and Bednall’s improvement and his smartly taken close range drop goal three minutes later gave Albanians the margin they needed. 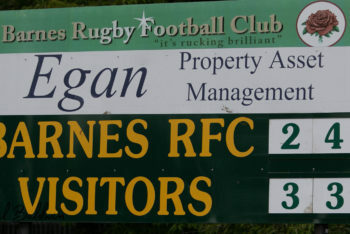 Barnes drew desperately close once more when Josh Davies broached a static defence after a series of careless errors by the visitors; but his opposite number Thompson finished off probably the best move of the match with three minutes to go. 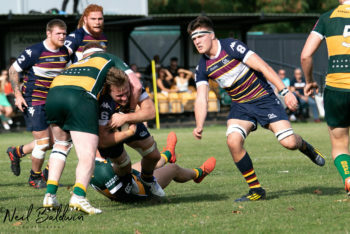 Ross Hamilton and Chris West were missing from this week’s forward lineup and hopefully these two stalwarts will be back next week in the battle against high-flying Rams at Woollams. 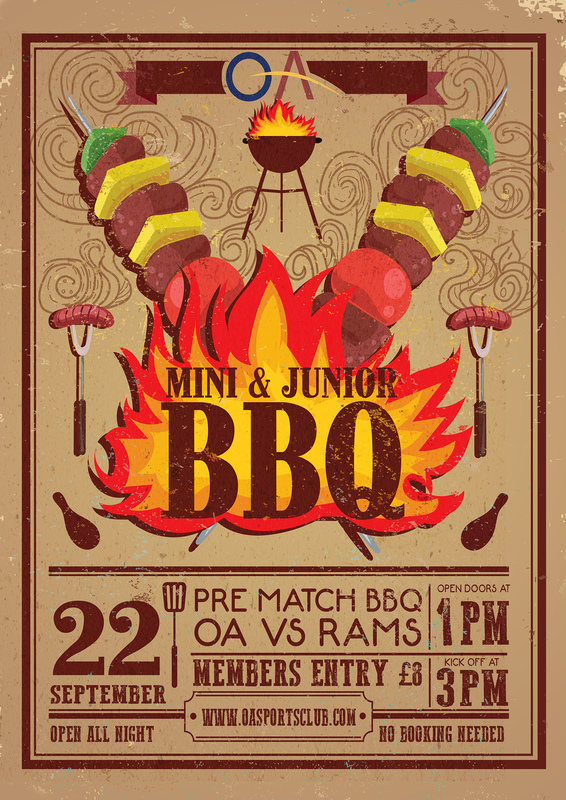 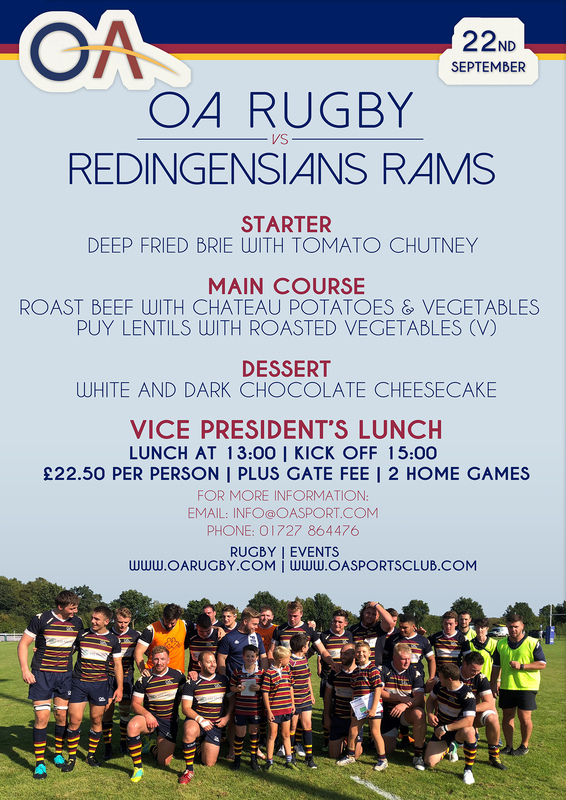 Kickoff 15.00, before which we have the VP’s Lunch and the MJ’s BBQ, don’t miss them!! 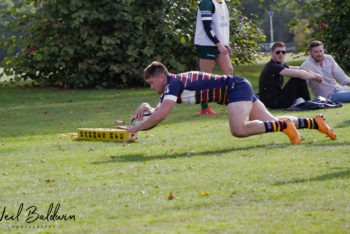 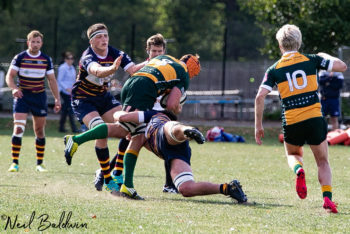 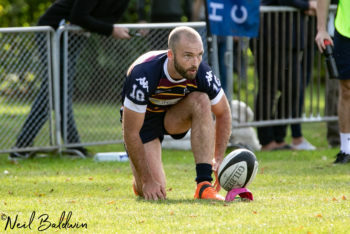 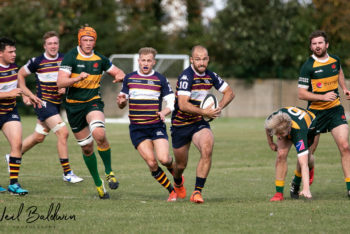 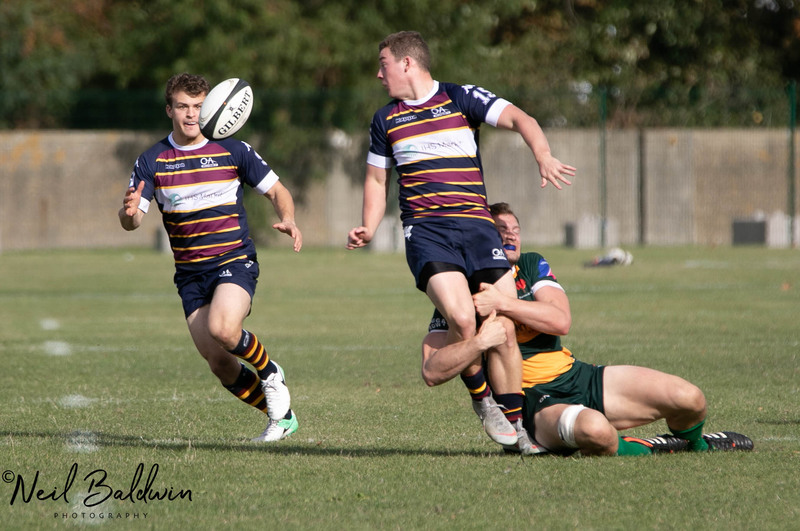 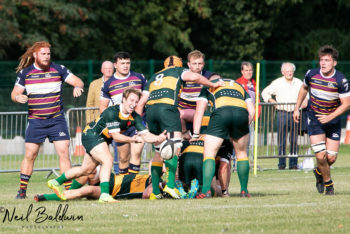 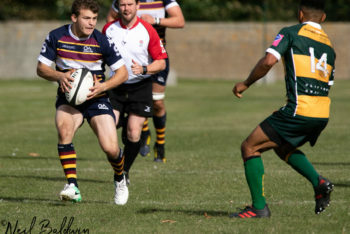 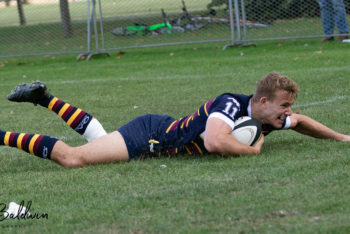 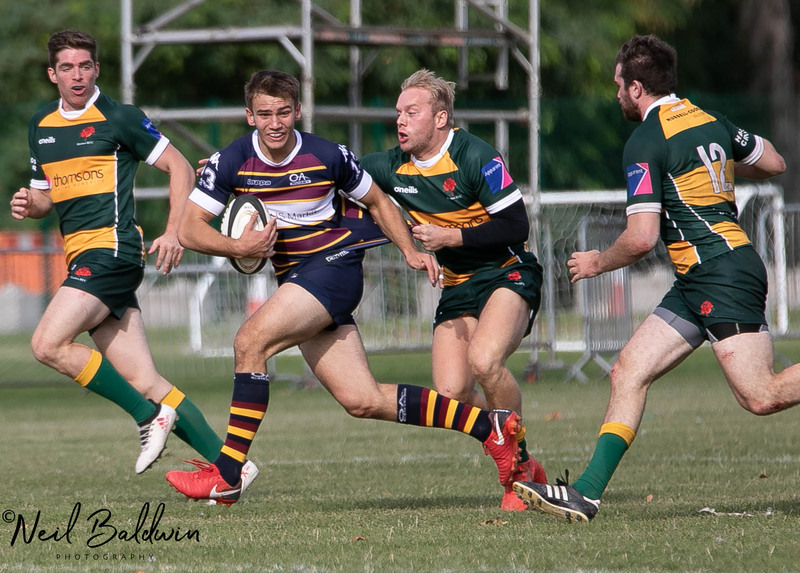 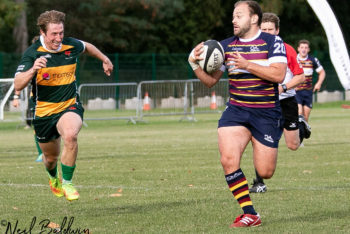 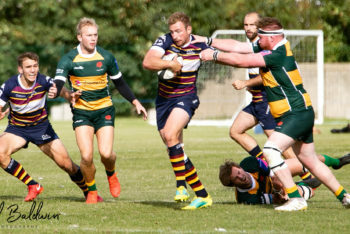 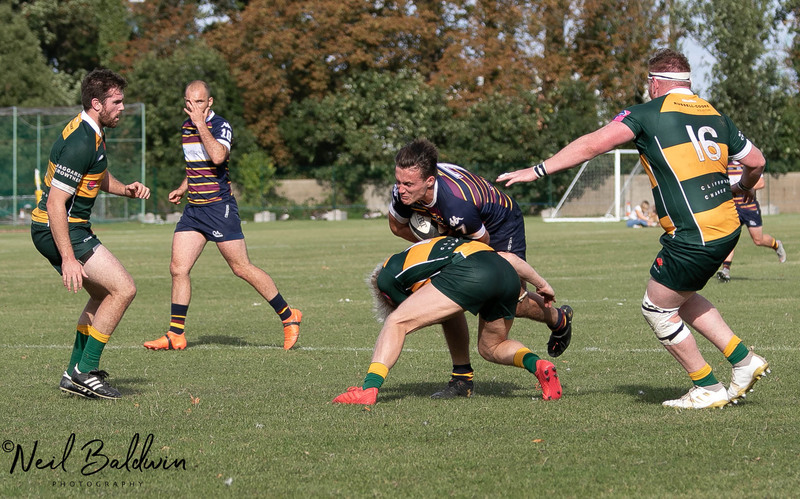 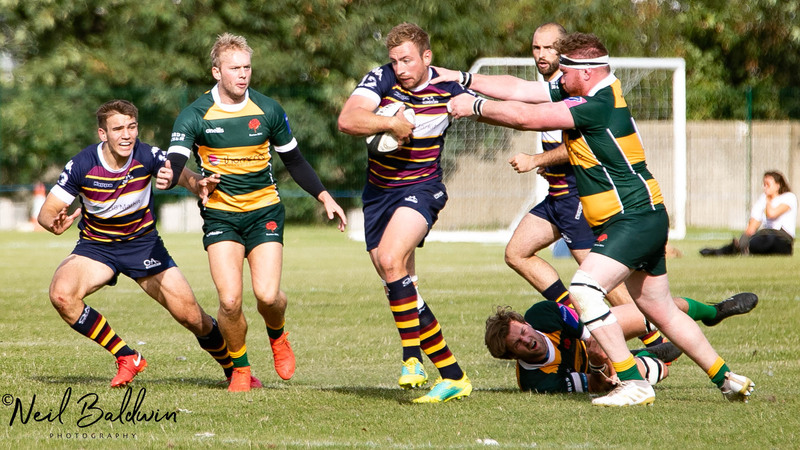 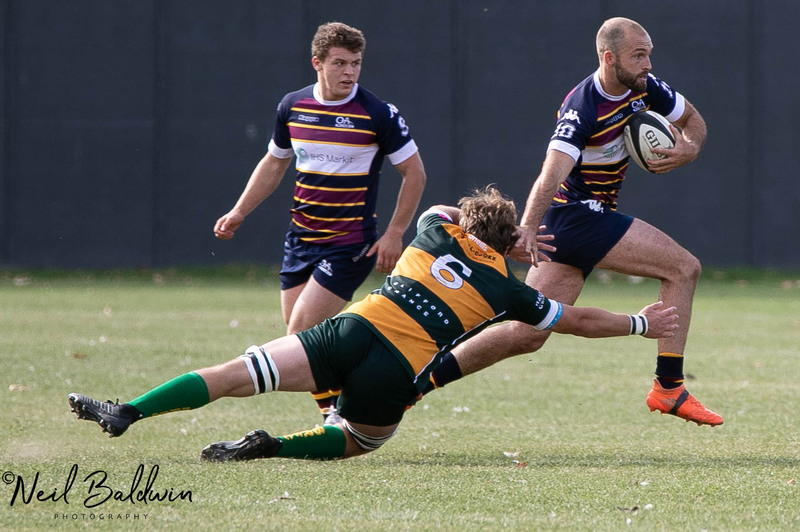 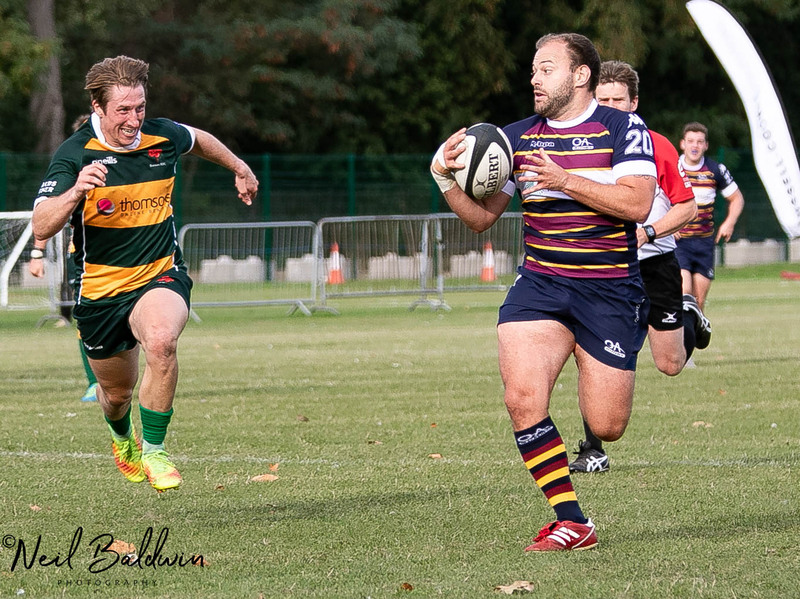 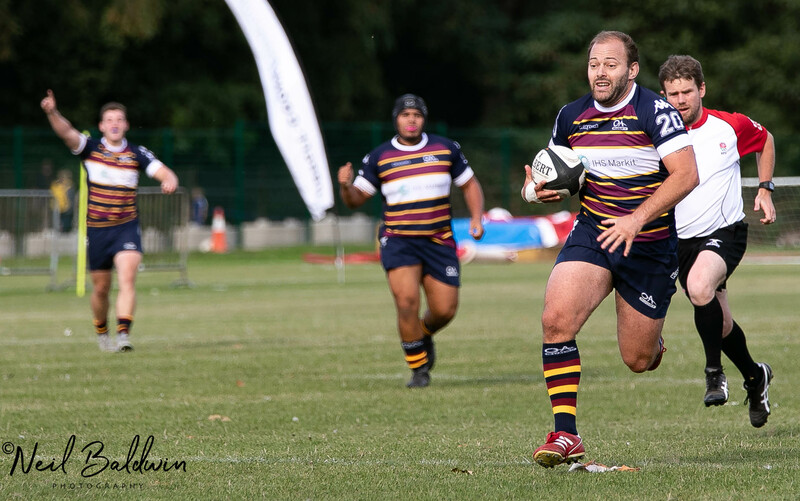 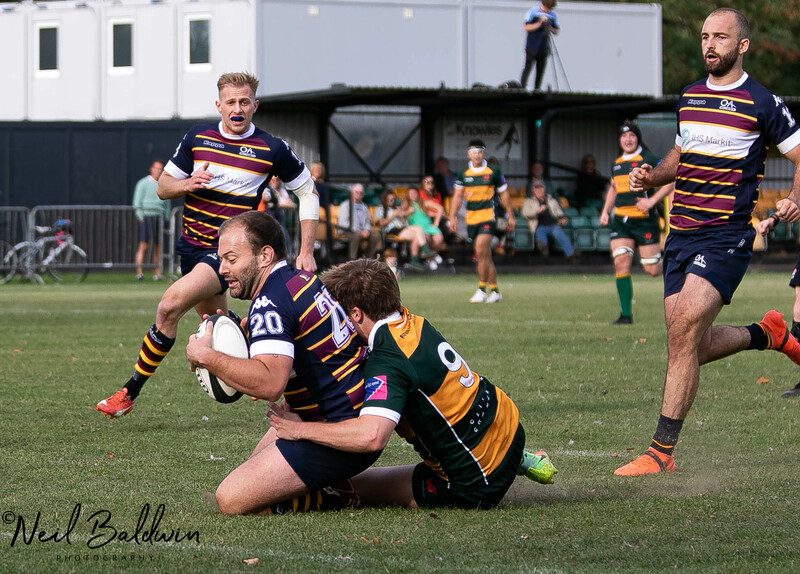 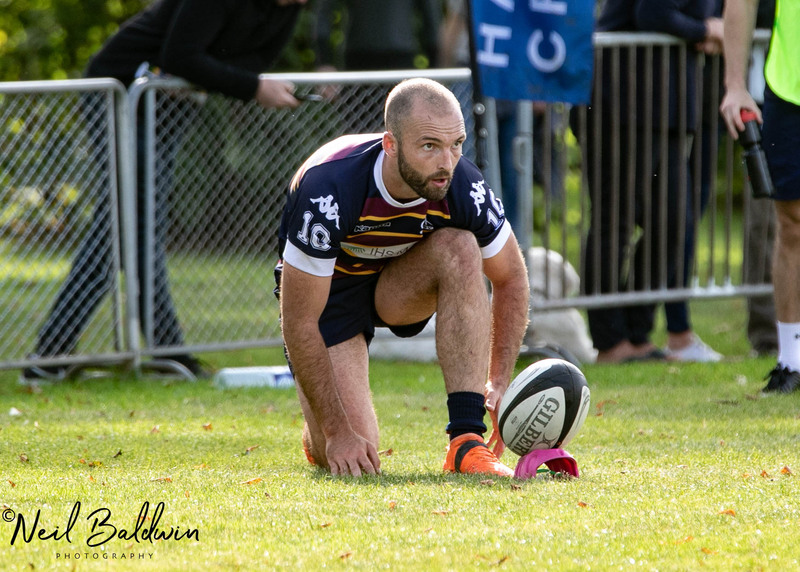 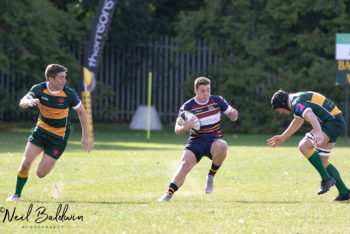 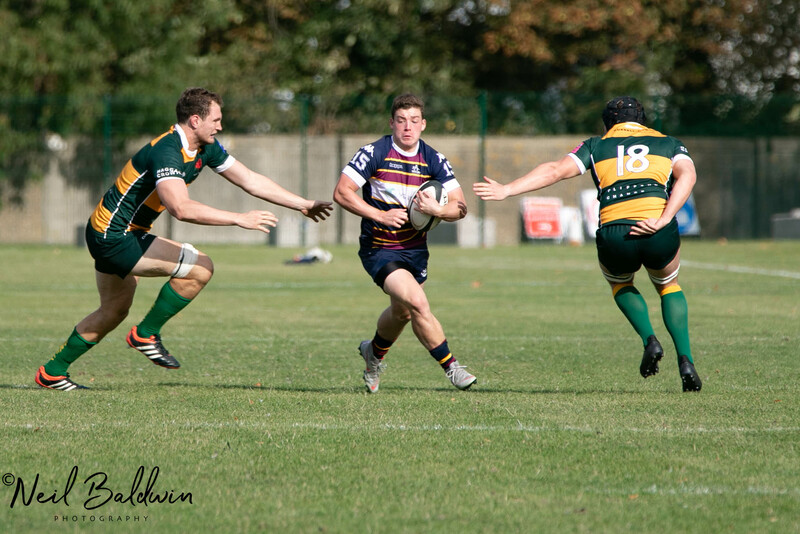 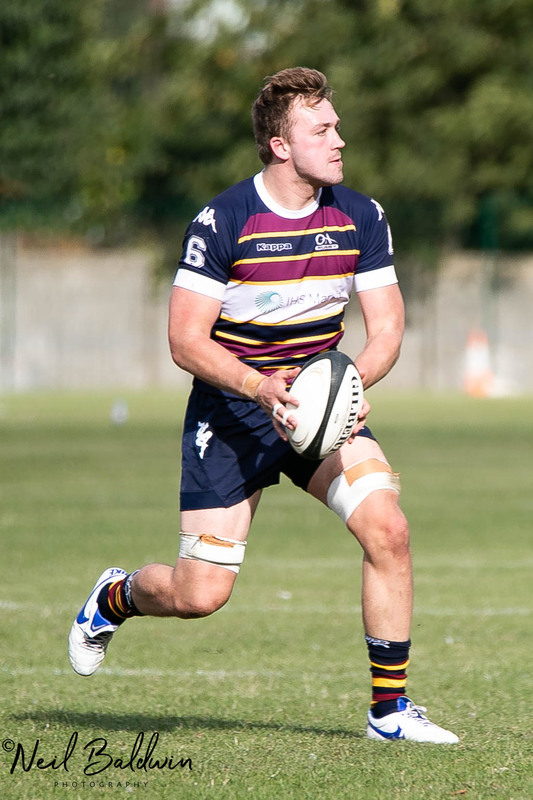 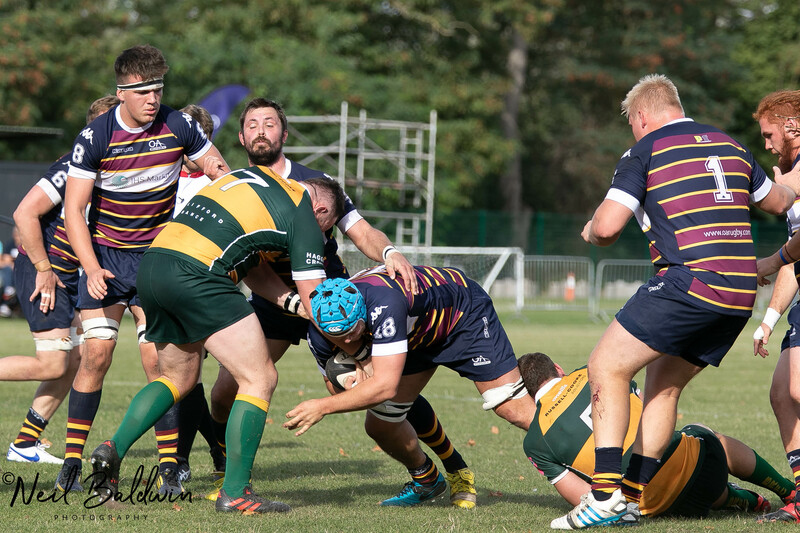 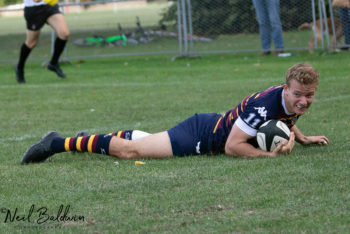 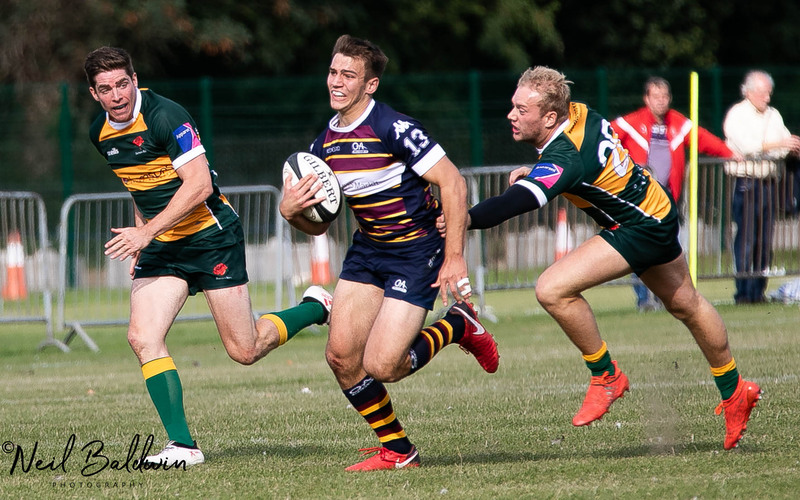 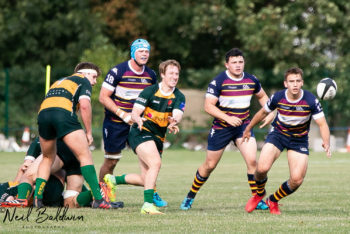 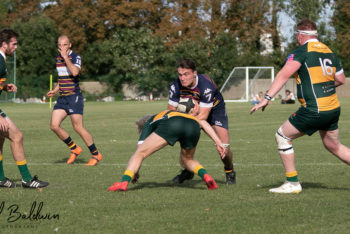 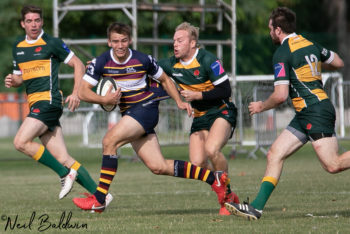 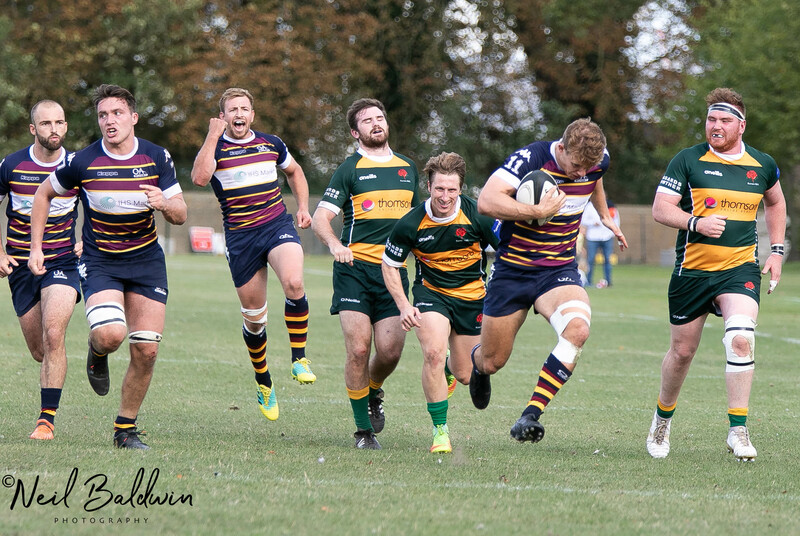 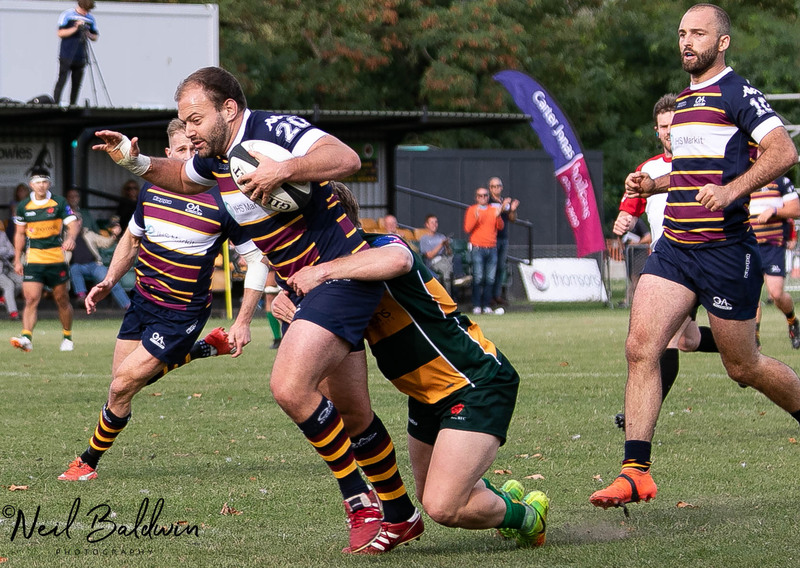 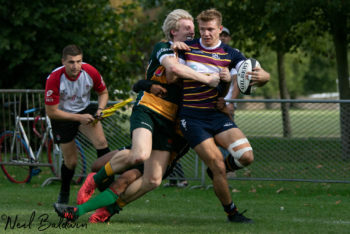 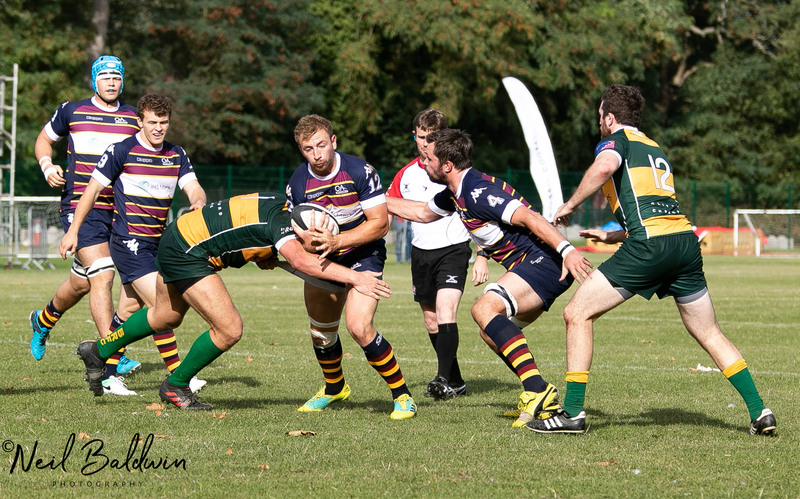 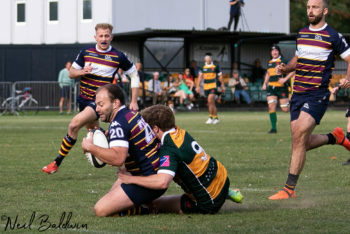 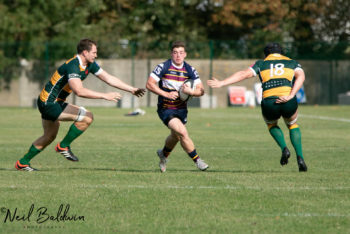 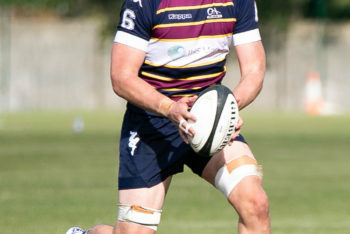 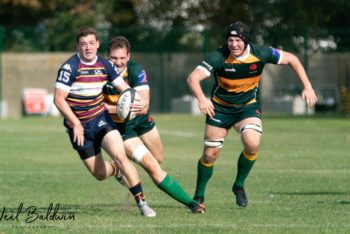 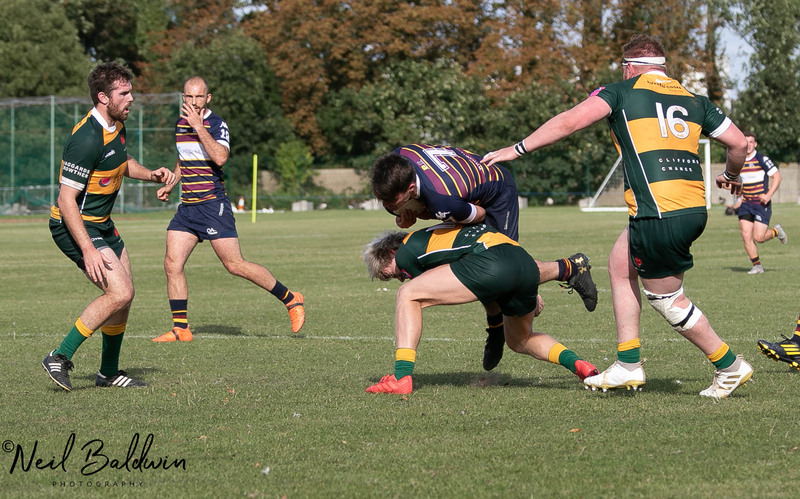 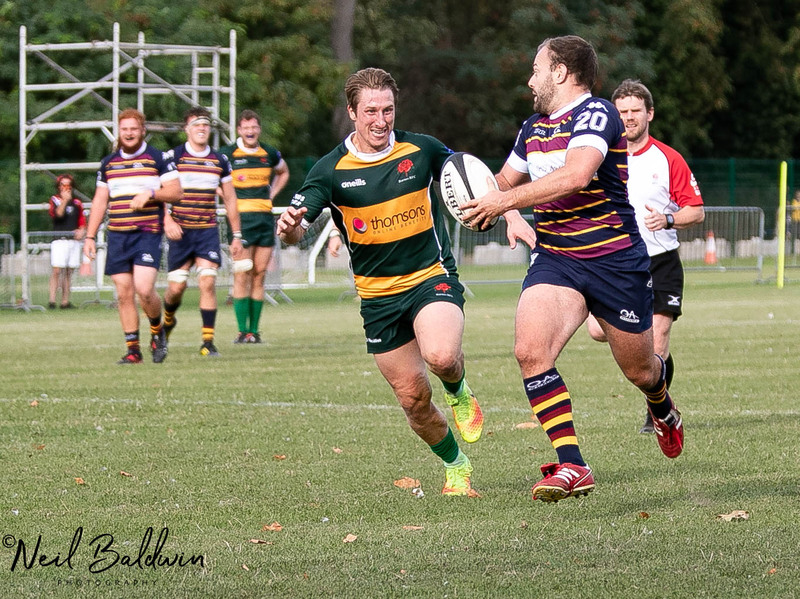 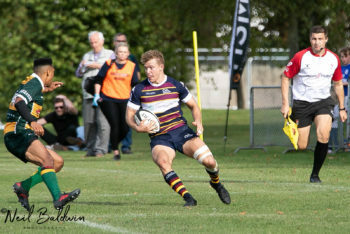 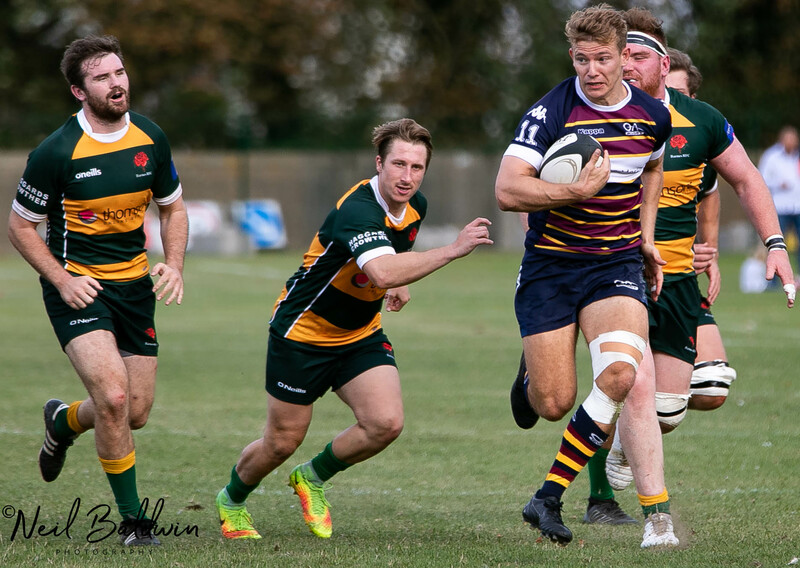 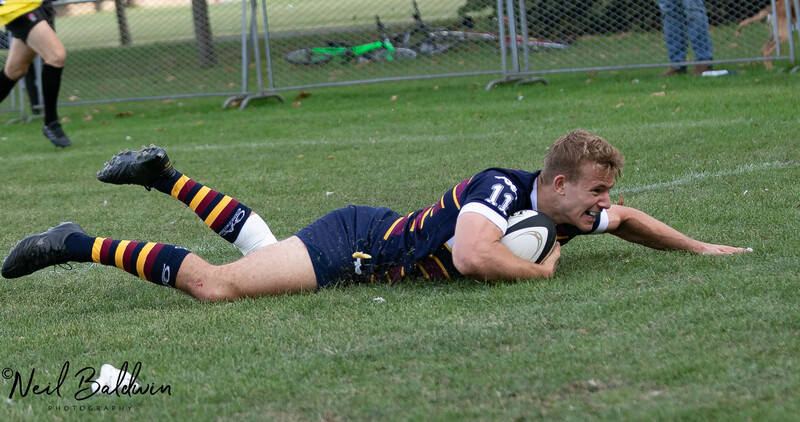 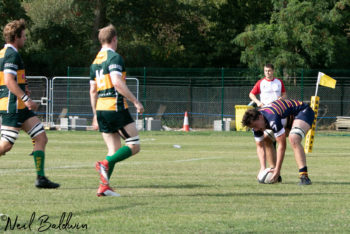 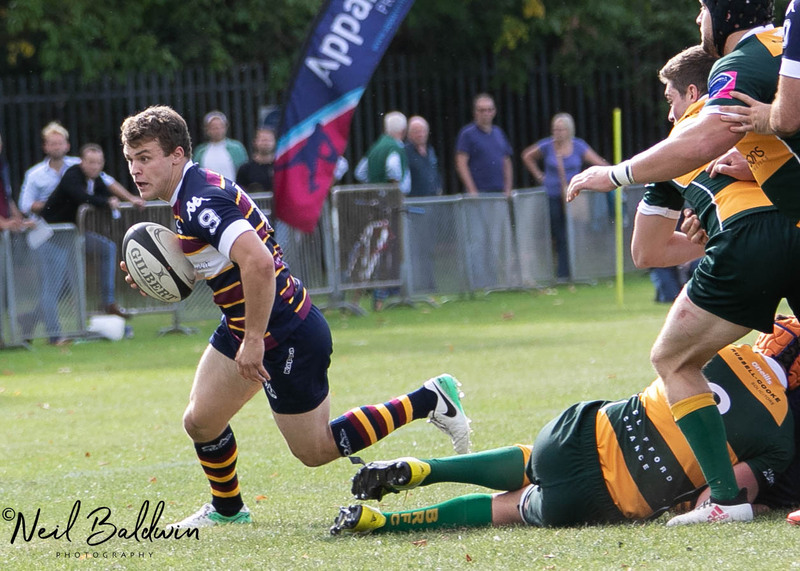 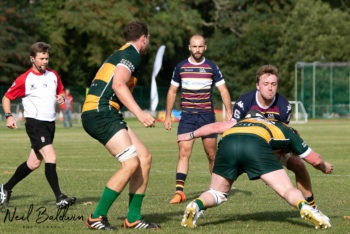 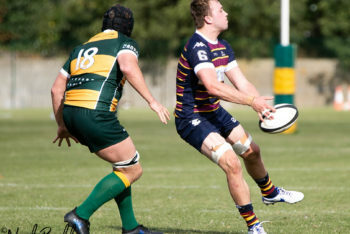 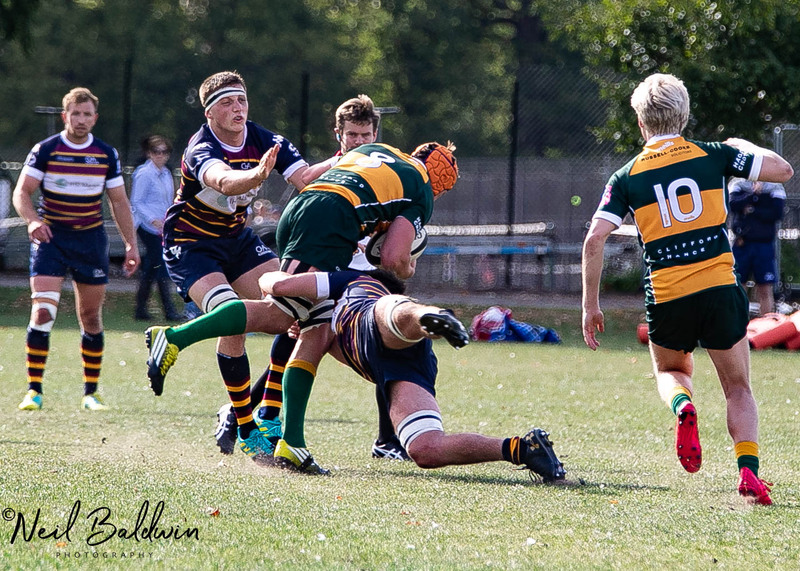 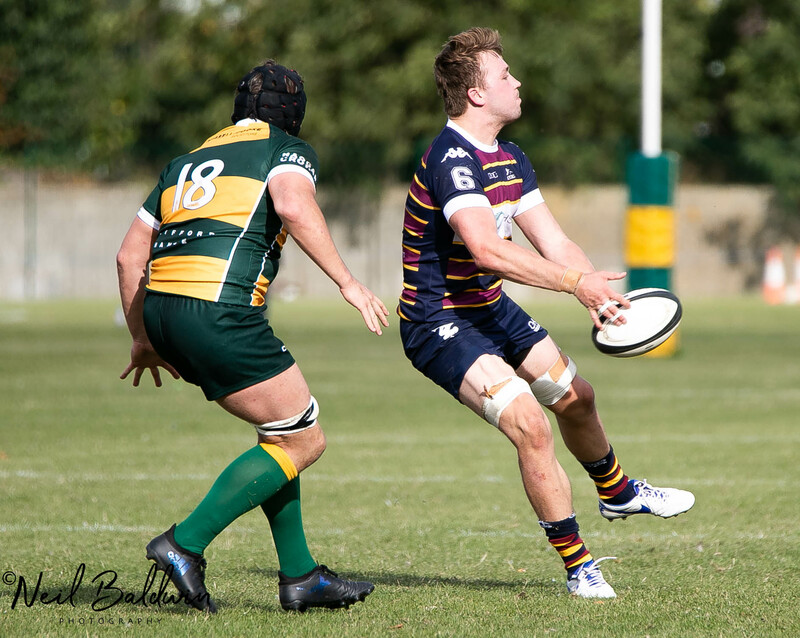 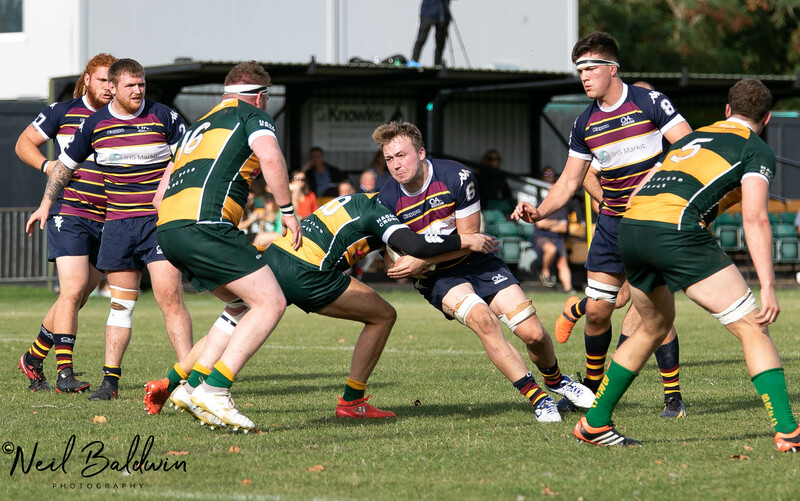 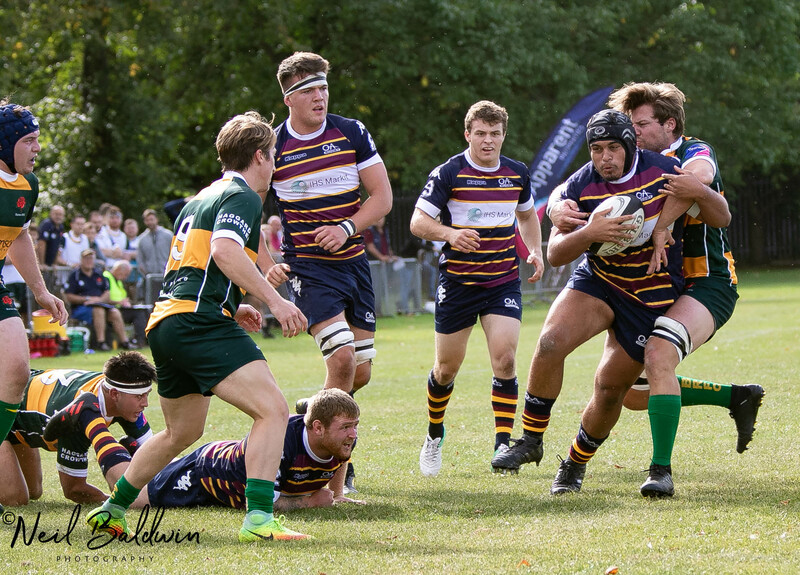 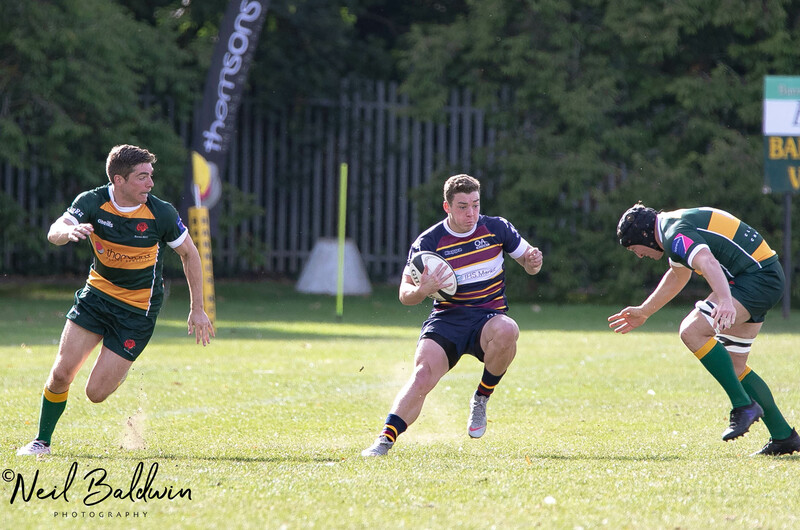 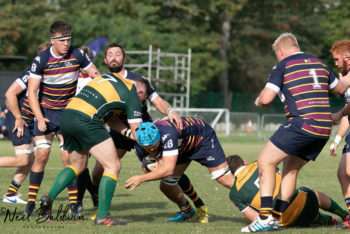 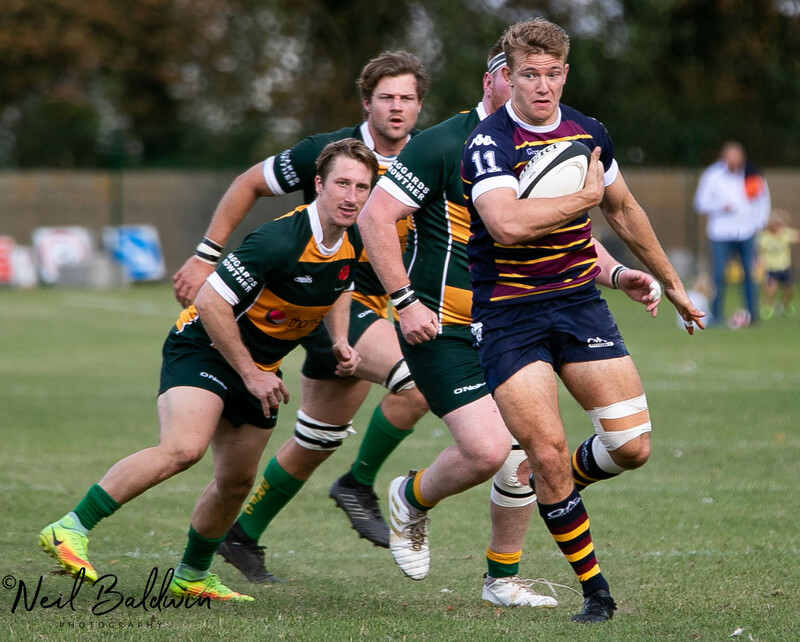 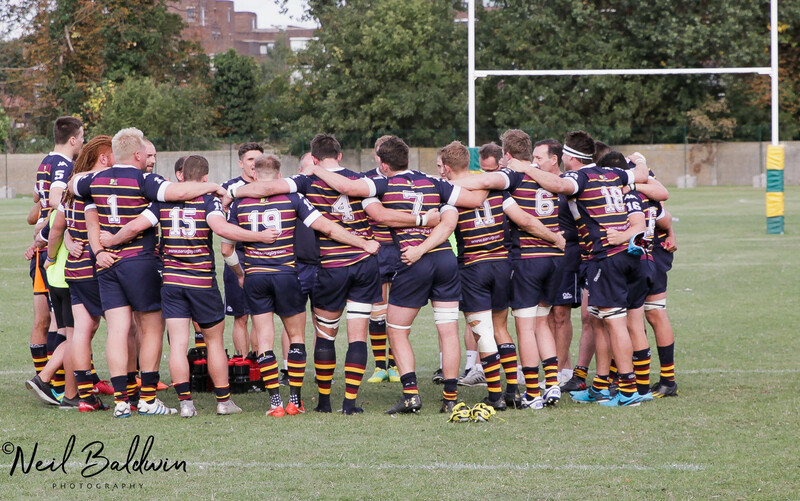 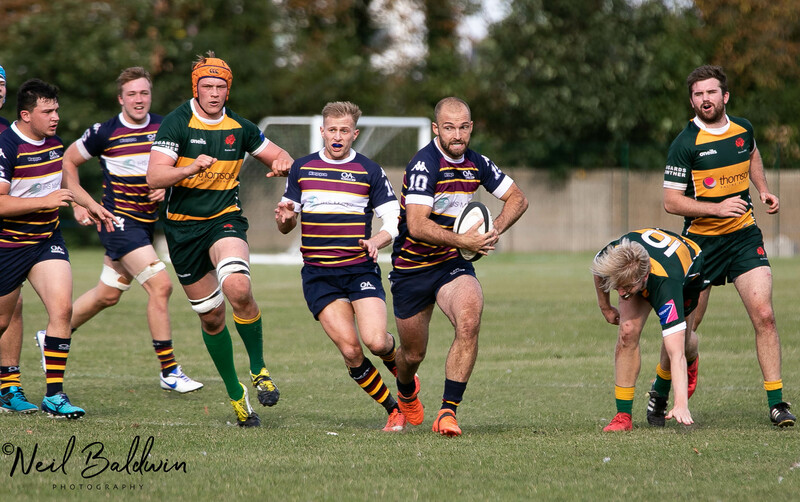 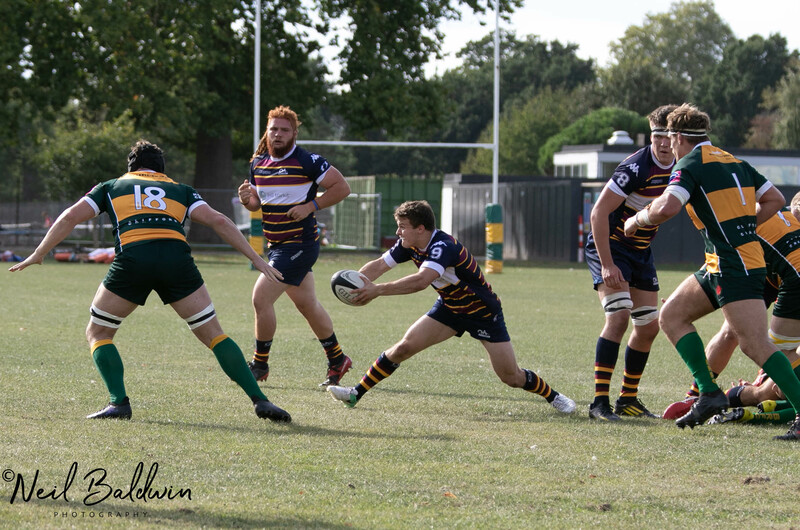 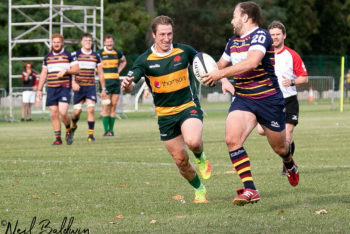 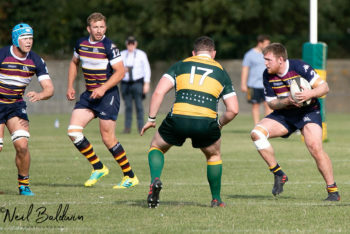 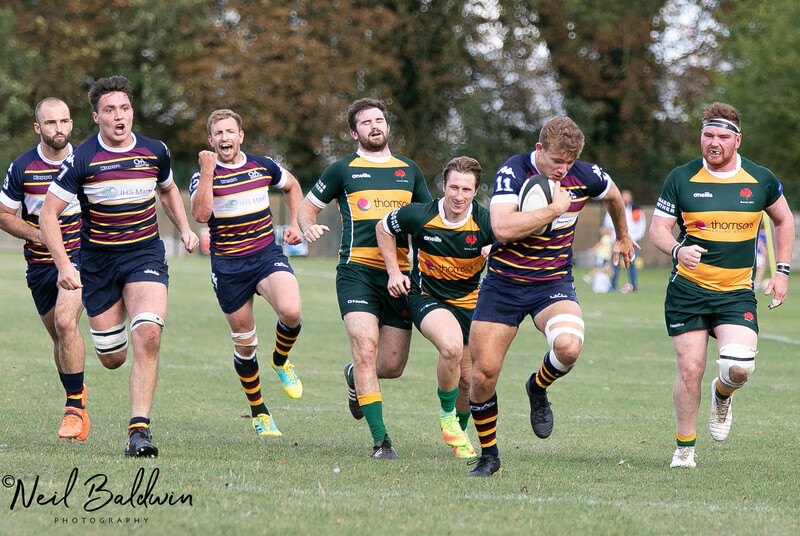 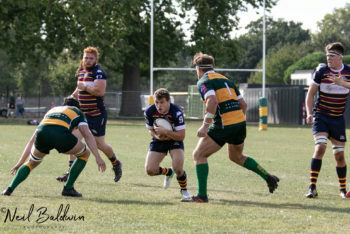 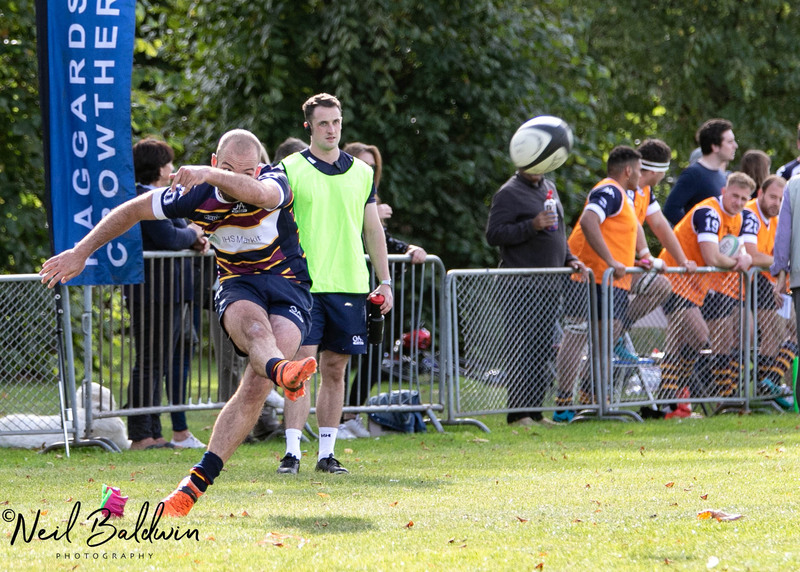 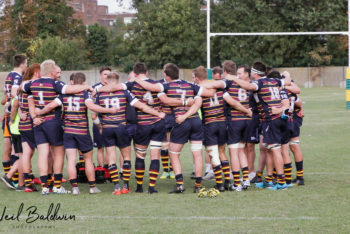 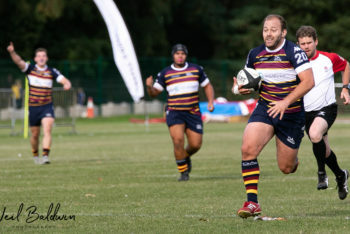 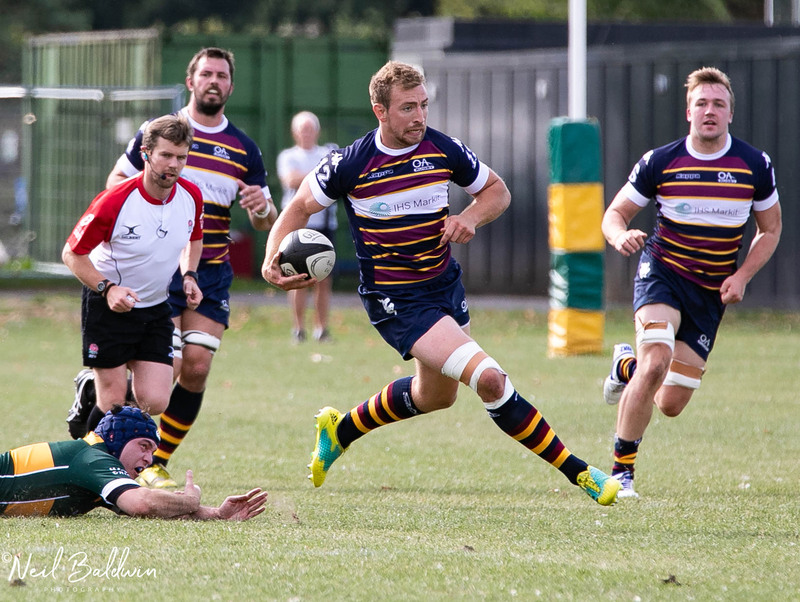 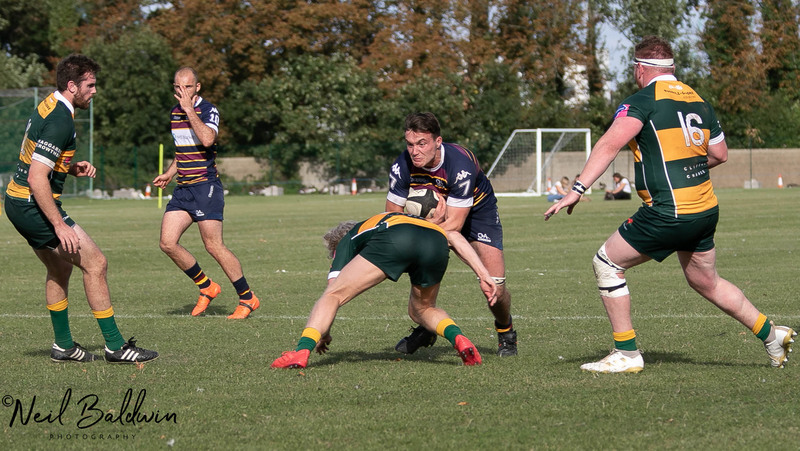 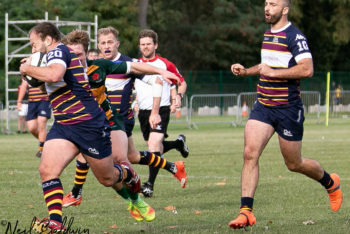 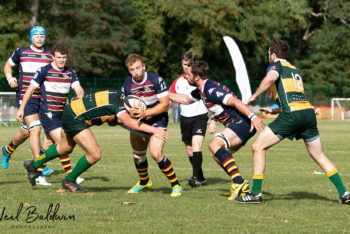 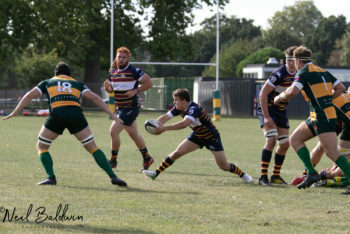 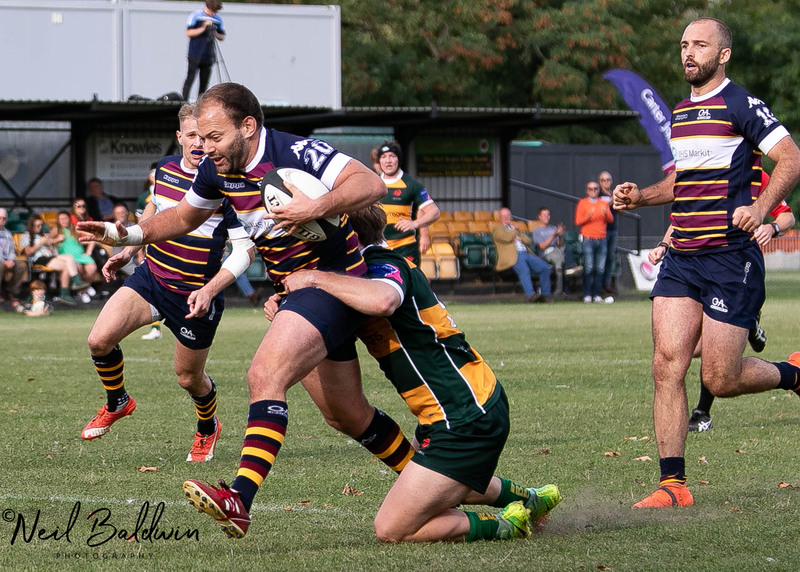 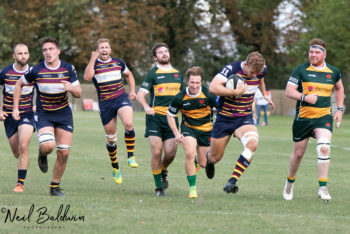 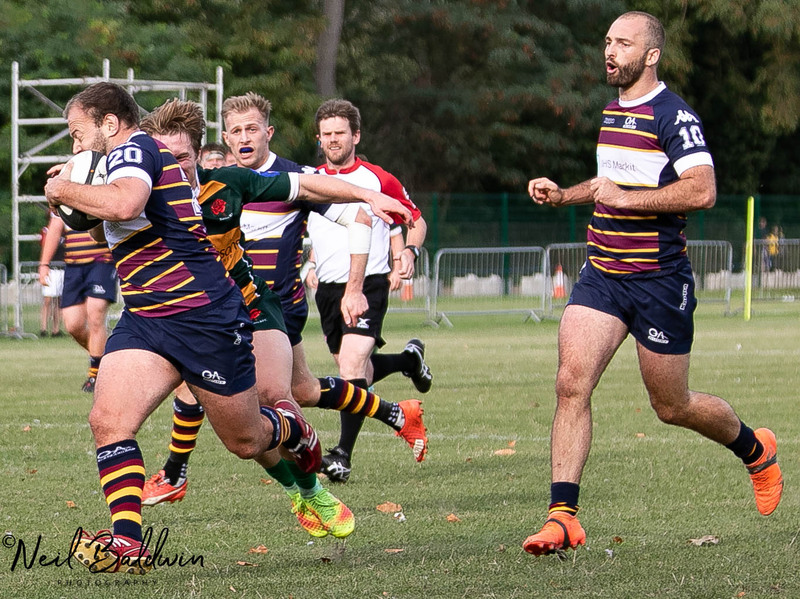 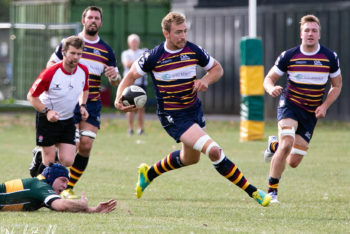 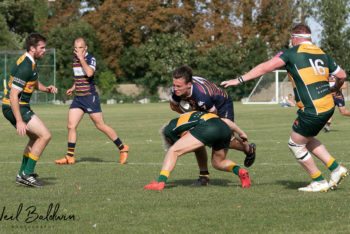 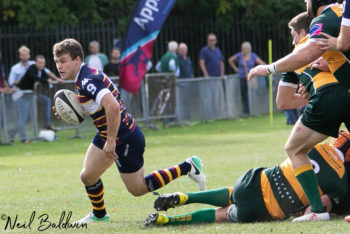 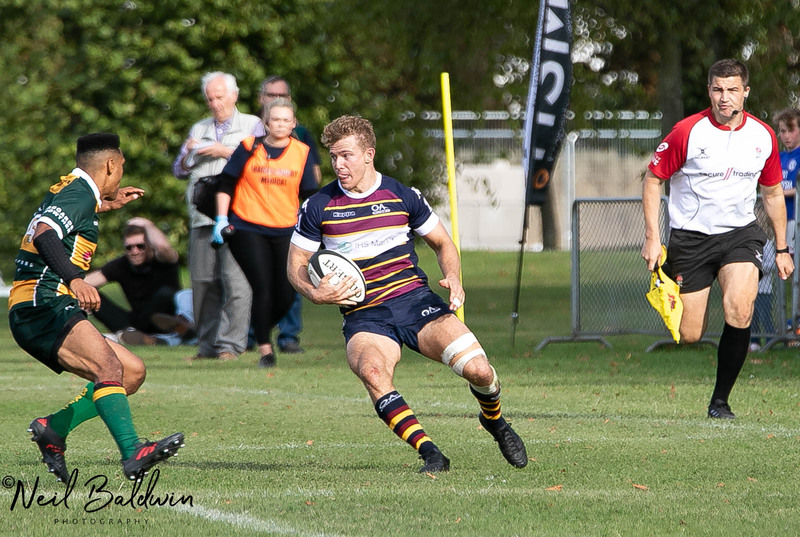 Photos from the 1st XV 33 - 24 victory over Barnes RFC in National League 2 South.